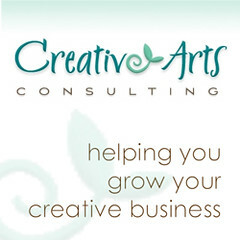 Marlo M. of CreativeArtsConsulting.com specializes in guiding independent creative business owners through the challenges of running a successful business while offering a unique level of caring, nurturing and support that encourages growth on all levels. + Are you starting or growing a creative, product-based business? + Do you want helpful, honest feedback that will help your business grow? + Would you like a knowledgeable mentor to discuss your new ideas with? + Do you need help with your pricing structure? + Need help transitioning from a retail to a wholesale business? + How about ideas on streamlining your production process to increase your profits? + Would you like to figure out how to rejuvenate your sales? + Perhaps you need practical advice beyond what your friends and family can provide? + Do you want some clear advice on the branding of your company? 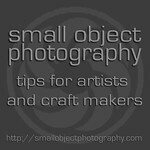 + Maybe you need some help opening or improving your Etsy or other online shop? With over 20+ years in the retail and wholesale industries, I can help you with all this and more. Contact me and let's talk about how I can help your business. Free 1/2 hour phone evaluation is available upon request. Appointments available in your Seattle-area studio, my Greenwood (Seattle) neighborhood studio or via phone or Skype anywhere in the world! Check out my Services page for more information on how we can work together.